As one of 2017’s most beloved games, already earning itself a fair few nominations for game of the year back in March, Horizon Zero Dawn is something that many simply lived inside, hunting gigantic robot animals and uncovering all the secrets of a post-apocalyptic world across dozens of hours of gameplay. Almost as soon as players had hunted every T-800 crocodile they could and climbed every Tallneck in sight, calls for DLC were plentiful – when gamers are actually asking to pay more for your product, you know you’ve done something right. Announced back in June, The Frozen Wilds promised to add more to the overall Horizon Zero Dawn experience with a whole new area, weapons, trials, and more. While it certainly delivers that, offering roughly fifteen hours of gameplay if you want to cross off everything on its impressive checklist, it also hints at what we can expect from the series going forward, and the signs are very promising indeed. Photo Mode is as addictive as ever. 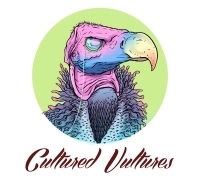 The bulk of The Frozen Wilds will be spent amongst the Banuk: a newly introduced and almost arrogantly proud tribe who are as superstitious as they come. Where others would struggle to live in the frosty climes of the northern mountains, they flourish, becoming expert hunters who value their way of life above all else. As you might already be able to tell, they’re some dour folk, which the seemingly updated facial animations during dialogue interactions helps to reinforce. After arriving at Song’s Edge, one of the settlements for the tribe, it isn’t long before Aloy gets embroiled in the strife of the Banuk. There’s something “big” that’s killing their hunters and looming over the lands – if you’ve played HZD before, this should already get you salivating at the thought of the intricacies of the traps you will need to start preparing. Once the threat has been established, Aloy must work with the “elders” of the tribe, who quickly prove to be some of the most fleshed-out, interesting, and affable supporting characters of the HZD universe, even if their arrogance can be overbearing at times. Once the expansion properly gets underway, it wastes no time in throwing everything at you all at once. New quests, errands, bandit camps, and trials are yours to attempt roughly within the first hour, so any open-world fans will immediately be in their element. As many added hours as the main meat of The Frozen Wilds offers, however, you may find the most fun in just jumping on the back of your mount and exploring its beautiful scapes and hints at a long gone civilisation. Guerrilla certainly know how to make a gorgeous game, but as HZD and its expansion proves, they’re no slouches when it comes to filling out a fascinating and rewarding lore. The Frozen Wilds seems to be packed with more exposition of a world long lost than the main experience itself, so you won’t be left wanting if you’re coming to HZD for its story and world-building. While some open-world games tend to devolve into tiresome fetch quests with little variation, Horizon Zero Dawn never went down the lazy route, and The Frozen Wilds is no different. No two quests are quite the same, asking you to get a dam operational one second and help someone wrongly accused of murder the next. It also does a great job of making the player investigate the new area, which isn’t perhaps as big as it could have been but still hefty nonetheless. Everything is spaced out well, so you won’t get fatigued from visiting the same snowy spot to collect A to bring to B. There’s also a few secrets worth seeking out and a pretty deep trophies list, so completionists will be in their element here. With a new area to explore, Aloy will need a larger armoury to take on its more daunting propositions, which The Frozen Wilds obliges. There are Banuk “upgrades” on the weapons found in the main game, but there are also ice-based weapons to play around with too, such as an icethrower that can then be improved upon further to unleash ice rockets. It’s not a simple case of building up enough materials, however – it’s tied to a quest, which is another example of The Frozen Wilds delivering “more” on all fronts. And you will need your souped-up weaponry, because The Frozen Wilds is a daunting challenge, even at the appropriate level and on normal difficulty. Many of the enemies from the main experience return, except this time they’ve been taking the equivalent of robot steroids and can dice Aloy up quicker than ever. But The Frozen Wilds isn’t done there when it comes to heaping on the misery – its new enemies are like bosses themselves, gigantic beasts that will absolutely ruin your best-laid plans and resources. Strategising attacks is more important than ever, figuring out how to lure Fireclaws and Frostclaws into your meticulously laid-out traps, but even doing your best Sun Tzu impression might not be enough. It’s recommended that you come into The Frozen Wilds at level 30; you realistically have a much better fighting chance at 40. If there are to be any complaints about The Frozen Wilds, they’re the same issues I had with the main game. Sequestering some weapons and items away in boxes seemed like a pointless distraction and an extra thing to fiddle with, which is something that Guerrilla even seem to make fun at one point in The Frozen Wilds. I can’t remember how or where, but I picked up a box that would gradually get smaller and smaller the more I opened it, not unlike a Russian doll. I laughed, but the slobby teenager inside me just saw it as extra work. The melee combat is also as unfulfilling as it was in the main game, regularly making the camera another enemy to tackle. A couple of refinements are definitely needed for the sequel, but I genuinely struggled to find much to criticise here. Oh, Aloy also definitely needs to stop piping up about bluegleam (The Frozen Wilds’ special currency to buy unique weapons) so damn often. The Frozen Wilds delivers exactly what it promised: more of Horizon Zero Dawn’s inviting and irresistible world. While it perhaps isn’t as essential a purchase as something like Blood and Wine for The Witcher 3, it does a seamless job of integrating itself with the regular experience and provides plenty of hints about what we can expect from Aloy and Guerrilla going forward. Bigger doesn’t always mean better, but judging by what I saw from The Frozen Wilds, the HZD franchise is only going to increase the stakes, and I can’t wait to see how it unfolds. 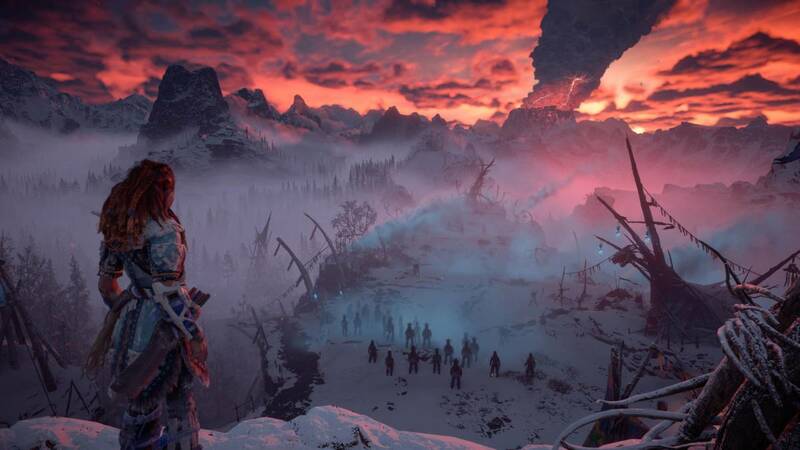 The Frozen Wilds is the perfect expansion for Horizon Zero Dawn fans to delve back into Aloy's world while also providing plenty of excitement for the future of the franchise and Guerrilla's vision. If you wanted another fifteen hours or so of hunting robots, you can't go wrong.